Sixmilebridge are one step away from winning their third Clare senior hurling championship title in five years thanks to this two point win over arch rivals Newmarket at Cusack Park this afternoon. The outcome of this one was in doubt right to the final whistle and few would have complained if the teams had finished on level terms. When Newmarket reflect on this game they will admit that they had enough chances to have at least earned a draw if not win the game. 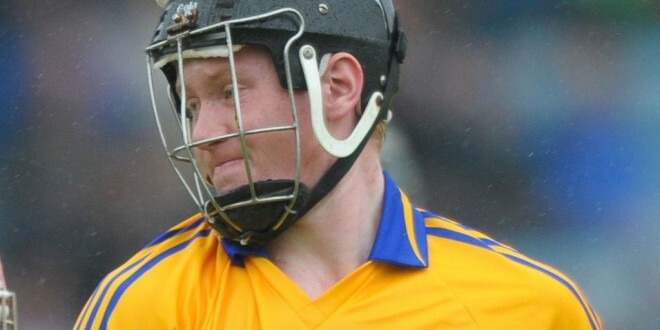 Once again, the strength of the Sixmilebridge panel was evident and the introduction of veteran Niall Gilligan, Clare defender Seadna Morey and teenager Gavin White all helped steer them back to the final after a one year lapse. Carrying the favourites tag Sixmilebridge went into this game without Seadna Morey, a big blow to their hopes. Newmarket made an impressive start with early points from Stephen Kelly and team captain Colin Ryan (free), before Brian Corry punished slackness in the Newmarket defence when he struck for his side’s first goal. Points were swapped on a number of occasions and the teams were level for the third time by the twenty second minute when the score was 1-5 to 0-8. They were level twice more before the break when the score was 2-8 for the winners to 1-11. Newmarket had a dream start to the second half when Colin Ryan goaled in the first minute but the winners replied and a Jamie Shanahan penalty goal put his side in front. Scores were exchanged on a number of occasions and the teams were level again with ten minutes remaining. They were still tied four minutes later after the had swapped points twice more. The winners edged two clear before Colin Ryan reduced the margin to the minimum and they had a chance or two to level but failed to avail of these and Jamie Shanahan sealed his side’s passage to the final when he converted a ’65 in the fourth minute of ‘injury time’. Elsewhere Tubber had a good day as they qualified for two finals. They will play Kilmaley in the intermediate decider after their 1-18 to 0-12 win over Smith O’Briens while they are also through to the junior B final following a 0-14 to 0-8 win over Inagh-Kilnamona and here their opponents will be Newmarket. Fortunate to escape with a draw a week ago, Doora-Barefield were crowned under 16 A champions for only the second time in their history and for the first time since 1995 when they had their only other success in this competition. They beat Clarecastle by seven points, 3-11 to 1-10.